The 2018 Goldwing Tour Premium is the top of the range Goldwing for Australia, ultimate touring luxury completely redesigned-the first in 17 years. A more fulfilling, superb riding experience to riders and passengers. A new third-generation 7-speed Dual Clutch Transmission (DCT) has been developed and utilizes a reverse chain to assist with the reverse function, adding to the units’ overall compactness and lightweight feel. The Walking Modes, forward and backward movement functions are operable with a hand switch. Other changes include a new exhaust system, ISG (Integrated Starter Generator system), Throttle-By-Wire (TBW) system, selectable Riding Modes and torque control. Refined shape Updated ergonomics Electric windscreen Heated seats and grips Luggage box and saddle bags. 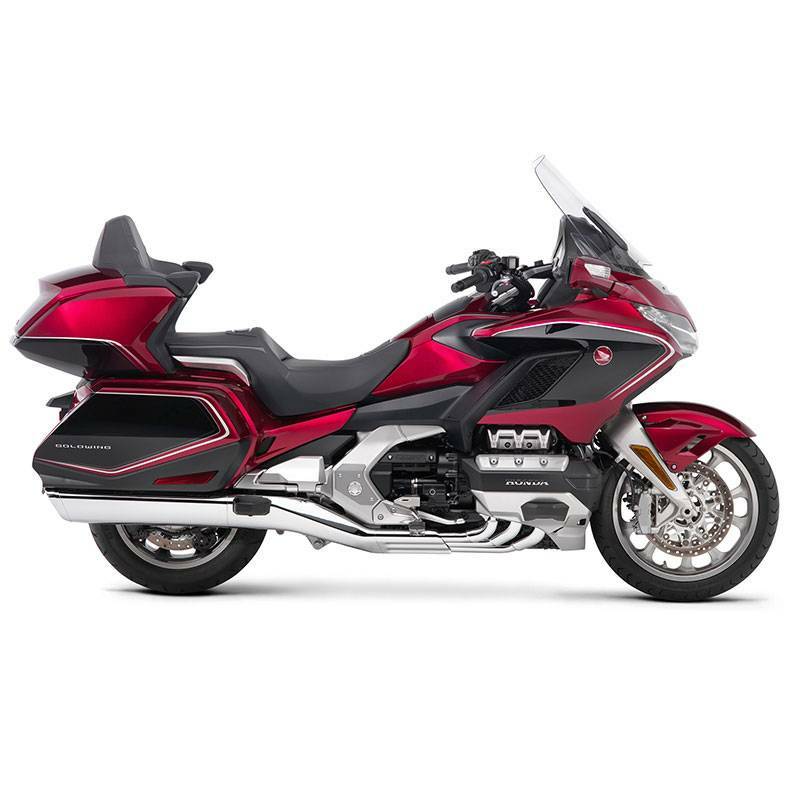 The Goldwing Tour Premium exclusively features an airbag, arm rests and unique coach work and all models feature LED headlights and tail lights. 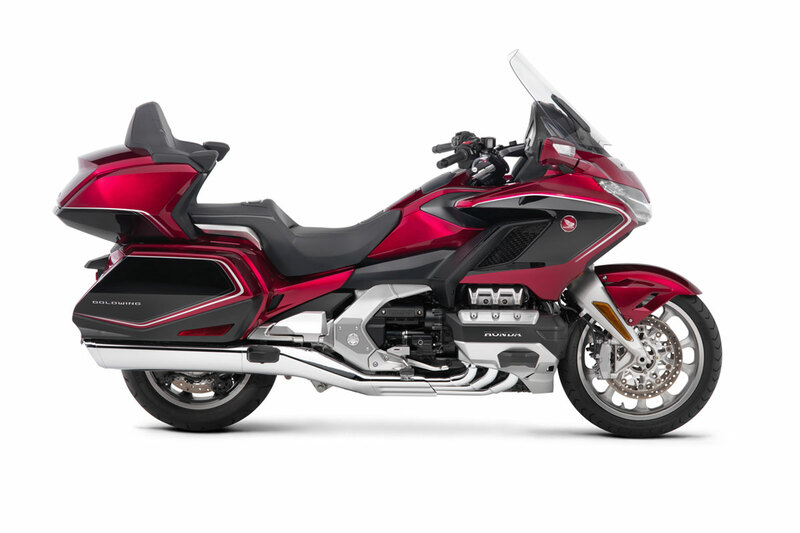 The Goldwing Tour Premium is available in Candy Ardent Red/Darkness Black Metallic and Darkness Black Metallic. Candy Ardent Red/Darkness Black Metallic and Darkness Black Metallic.